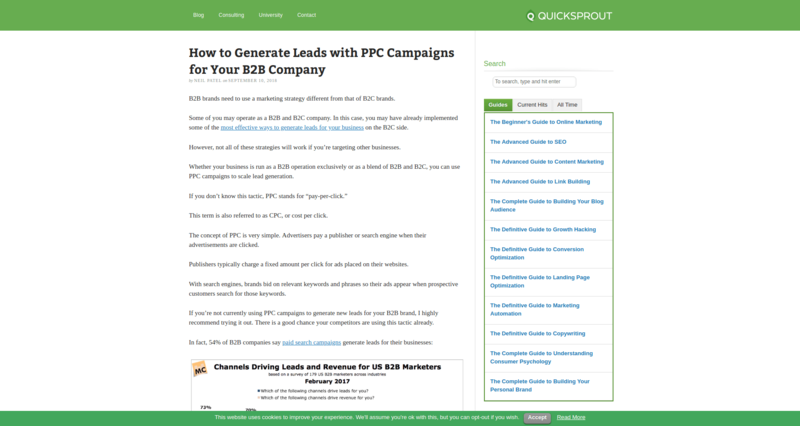 Some B2B companies spend a lot of money on advertising that does not lead to a specific business outcome. Peter Isaacson shares three ways to focus budgets where they can make the most impact, reach your key buyers and arm your sales team with more opportunities. 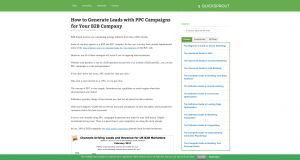 Even if you’re currently running PPC campaigns as part of your B2B marketing strategy, there is always room for improvement. 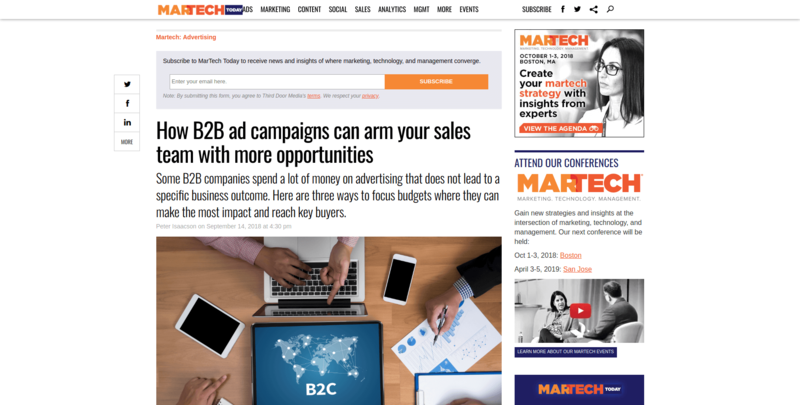 In this article Neil Patel provides tips that you need to know to set yourself up for success. BaaS could be the next big thing for business-to-business companies especially. 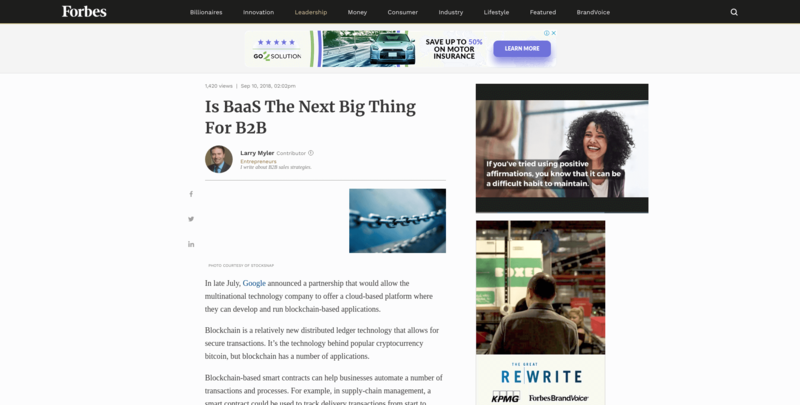 Until recently, many B2B companies have been unable to take advantage of the benefits of blockchain, but BaaS presents a promising opportunity. 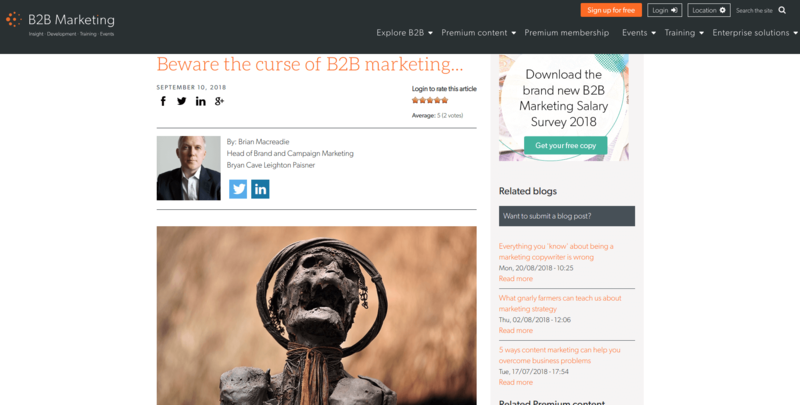 In this blog post Larry Myler identifies where B2B and B2C audience behaviors are colliding at. In this article Ian Altman shares a brief video in which he goes over five simple, maybe counterintuitive questions to add to your repertoire to help you get to the truth quickly in any selling situation. These questions will give you the key to honest dialogues with your potential clients and hopefully reach a consensus about how you might be able to work together. 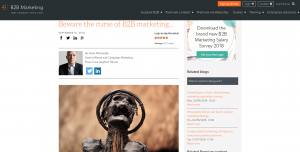 In this blog post Brian Macreadie denotes that there's a curse plaguing B2B marketing. He divulges the remedies to cure the problem and provides a suggestion of where the curse may come from. Read the article to find out more about it. Converting customers doesn’t just happen by accident. These days, B2B marketers need to proactively engineer the buyer’s journey. 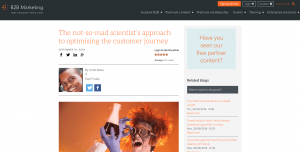 Smith Willas offers 5 methods you should experiment with to optimise your customer journey.